It's Tuesday again, which means it's time for another round of my favorite weekly meme on the Internet. If you haven't participated in this bookish fun before, what are you waiting for? 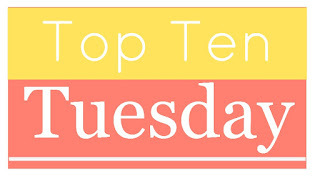 Click on over to The Broke and the Bookish to see what all the buzz is about, make your own list, and hop all over the book blogosphere to find new blogs and get lots of great reading recommendations. It's a good time, I promise! 1. York by Laura Ruby—I'm in the middle of this MG steampunk adventure by the author of Bone Gap (one of my favorite books of 2014) and it's tons of fun. 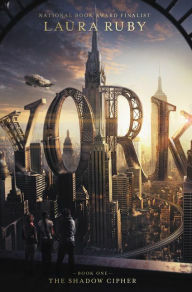 It's about three kids who are trying to solve a 150+-year-old, world-famous cipher in order to save the home they love in an alternative NYC. Available now. 2. Wishtree by Katherine Applegate—I adored both The One & Only Ivan and Crenshaw, so I can't wait to see what Applegate will do with her newest. Told from the perspective of a tree that functions as the wishing well for a small town, the story should be interesting! Coming September 26, 2017. 2. 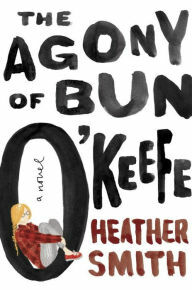 The Agony of Bun O'Keefe by Heather T. Smith—Bun is the daughter of a hoarder. When her mother tells her to leave, she does. On the streets of Newfoundland, she meets a quirky cast of characters who become her makeshift family. Sounds intriguing to me. Coming September 5, 2017. 3. Forest Dark by Nicole Krauss—This adult novel about a young novelist and an older lawyer, both searching for themselves, who end up in the same Israeli desert sounds engrossing. The title makes the book sound like a horror novel, or at least a thriller, so I'll be interested to see how it comes into play in the story. Coming September 12, 2017. 4. 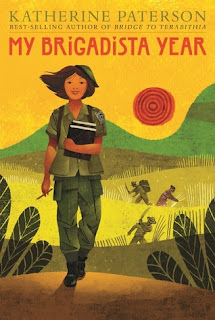 My Brigadista Year by Katherine Paterson—This historical novel features a young Cuban teen who volunteers with Castro's national literary campaign. As she travels the countryside teaching people to read, she learns important lessons about her country and herself. Coming October 10, 2017. 5. 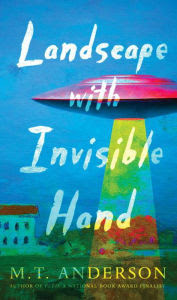 Landscape With Invisible Hand by M.T. Anderson—I enjoyed Feed, Anderson's YA novel about the dangers of technology addiction. His newest sounds similarly exciting and thought-provoking. Coming September 12, 2017. 6. 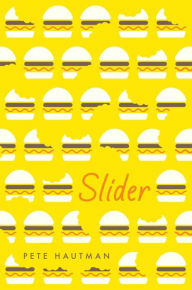 Slider by Pete Hautman—I don't think I've ever read a novel about competitive eating, so this MG sounds especially tantalizing. Coming September 12, 2017. 7. 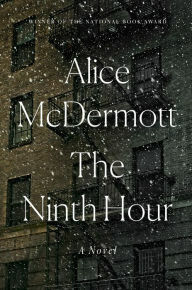 The Ninth Hour by Alice McDermott—This historical novel about an Irish immigrant's dramatic suicide and the way that it impacts his widow and unborn child sounds depressing but compelling. Coming September 19, 2017. 8. Invictus by Ryan Graudin—I loved Graudin's The Walled City, although I haven't been as impressed with her subsequent books. Still, I'm excited to check out the author's newest. It's a time-traveling adventure that sounds fun. The reviews seem a bit so-so, but I still want to see what Invictus is all about. Coming September 26, 2017. 9. 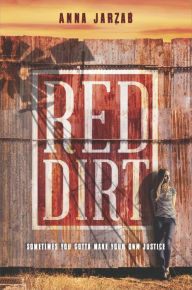 Red Dirt by Anna Jarzab—This gritty mystery set in small-town Oklahoma looks intriguing. Coming August 29, 2017. 10. 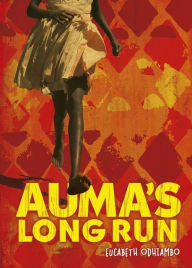 Auma's Long Run by Eucabeth Odhiambo—In this MG novel, a 13-year-old Kenyan girl in the 1980s must decide whether to keep pursuing her dream of becoming a track star as her village is invaded by AIDS. Sounds sad, but inspiring. Coming September 1, 2017. So, what's on your list today? What are your most anticipated reads for the rest of the year? Do we have any in common? Leave me a comment and I'll happily return the favor. The Agony of Bun O'Keefe sounds interesting. I'd never heard of it, but the hoarding sounds like an interesting topic. Just had a nose at your Printz Project tracker. I'm following the Carnegie shortlist at the moment. I hadn't heard of it before today either, but I think it sounds really interesting. Oh man, I'm SO behind on my Printz Award reading. I need to catch up. I want to read Wishtree and I need to add Slider and Forest Dark to my list. I hadn't heard of either of them but they look intriguing. I just found out about SLIDER and FOREST DARK this morning when I wrote this post. They both sound really good to me. And I love Applegate, so she's an auto-read author for me. Some of these sound very interesting—especially York and Wishtree. Thanks for pointing me in their direction! Ah Slider looks so good! I love the idea of a book about competitive eating! The covers is so cute too! Right? I hope it's as good as it looks. I've seen Invictus on a couple TTT's today- looks like something I'll have to peek into later! Thanks for stopping by Love at First Write!! It sounds interesting even though it's only getting so-so ratings so far. We'll see. Like I said, I loved THE WALLED CITY and am hoping the author writes something else as unique and awesome! I love Sharon Bolton. I'll read anything she writes! I haven't read a novel about competitive eating, either, but I have read a great short story--"A Piece of Pie" by Damon Runyon, of "Guys and Dolls" fame. It's delightful. Interesting. I'll have to look it up. I'm definitely enjoying YORK. I hope the rest of them will be great as well! I enjoyed The Walled City too and haven't read any more by the author since but this new one sounds great! It was a great book, wasn't it? I'm hoping INVICTUS is compelling as well. I always look forward to seeing these ttt posts! They add so much to my tbr. I'm travelling so I didn't participate this week but I can't wait to get back and draw up a new list! I know! I'm amazed how many books I haven't even heard of until TTT rolls around. Yes, I see Invictus is on your list. Thanks for introducing me to a lot of new books I'll need to look into! My pleasure :) Oh, and I just replied on your blog about my Mistborn reading. Wow, My Brigadista Year sounds amazing! Look like October will be sad for my wallet indeed. MY BRIGADISTA YEAR does sound amazing. I don't read enough historical fiction set outside the U.S. and U.K.
Ugh! You can way too easily come up with ten more books coming out that you want to read. 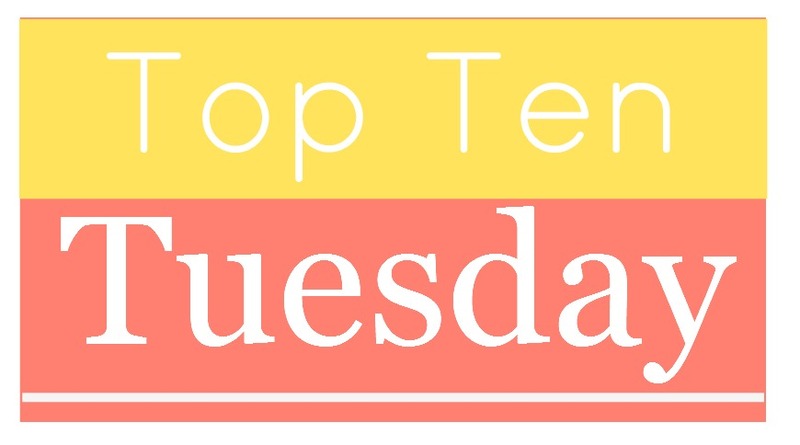 It introduces me to a whole slew of book that need added to my tbr mountain. Eeep! The Agony of Bun O'Keefe sounds so interesting! Definitely going to check it out! Great list! Yeah, I'm interested to see if it's as intriguing as it sounds. Invictus sounds interesting! I've seen it once or twice on various blogs. I'm not a big YA reader but the premise is definitely intriguing! Ahhhh I can't wait for Invictus as well! I loved The Walled City. So many great books! I did, too! WOLF BY WOLF wasn't my favorite, so I didn't continue with the series. I'm hoping INVICTUS will be as mesmerizing as THE WALLED CITY. Thanks so much for visiting Finding Wonderland, Susan. I haven't heard of SOFI SNOW. I'll have to check it out. Wishtree sounds like it would be a good read! I read a book by Nicole Krauss before, it was called The History of Love and I loved it so I'm interested in reading more of her books and Forest Dark sounds intriguing.